The Dell Inspiron 11 3000 2-in-1 laptop computer is packed with fun, flexible, ready for adventure. Colorful, lightweight and impressively versatile with four head-turning modes to travel with you anywhere. Is the memory upgradable? How many Slots are available? The memory is upgradable to 8GB. It comes with 4GB and has only one slot. You will have to replace the 4GB stick with an 8GB memory stick to max out the allowed memory for the motherboard. Is this a Touchscreen laptop? 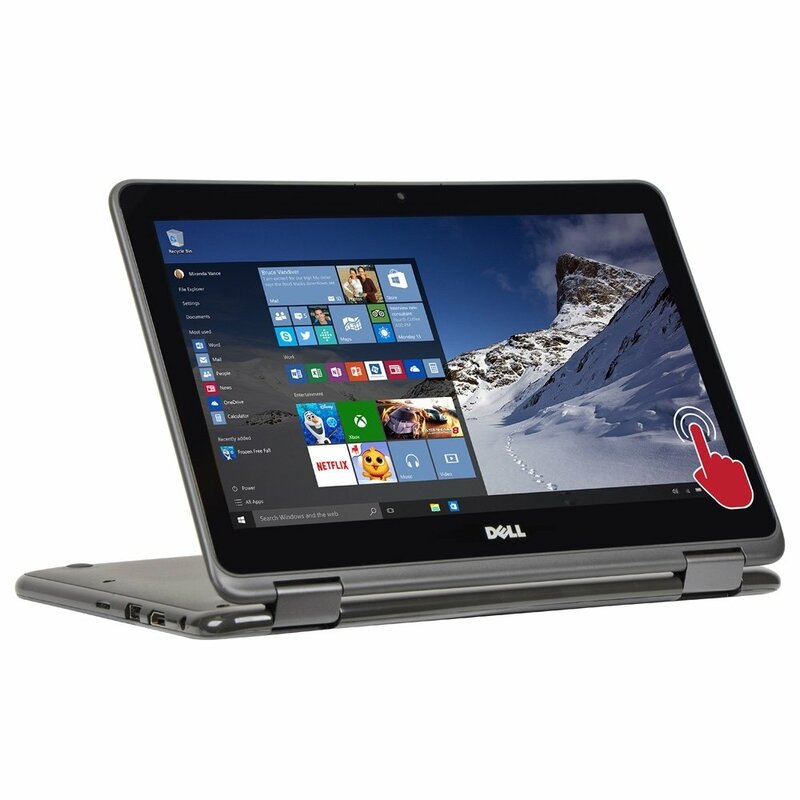 Is the Dell Inspiron 11 3000 Laptop convertible? It can flip all the way backwards and turn into a Pad. you can take notes with a stylus.A stylus is not included though.